It still appears somewhat surreal to me, but it looks like it’s happening again: in June 2018 – if everything goes to plan – I will leave for my second mission in space. Like the first one, it should last around six months, but this time I am asked to serve as commander of the International Space Station ISS for the second part of the mission. What an honour for me: the world’s largest space agencies are entrusting me with the most complex and valuable machine ever built by human beings! International Space Station (ISS). Image: NASA. This thought alone fills me with awe. 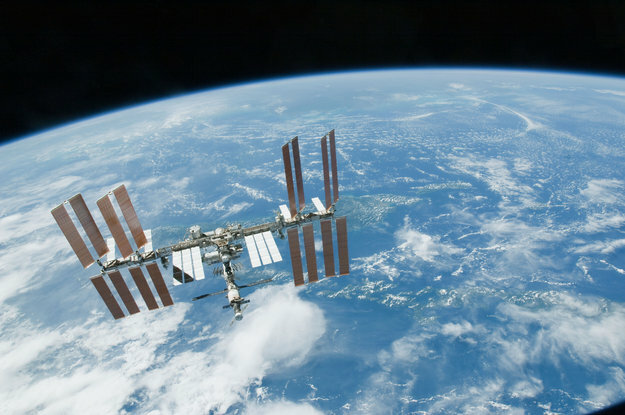 I can hardly wait to see the Space Station again, which became a second home for me in 2014. I look forward to floating through the hatch and into this fascinating weightless world. Together with the European Space Agency (ESA) and the German Aerospace Center (DLR) we decided to name the mission “Horizons” — to continue the “Blue Dot” concept that was the name of my first mission. The view of Earth from space has made us look at how fragile and unique our home planet is. Now we want to look towards the other direction – beyond our horizons: outward, forward. Inhabitants of Earth are an island species, surrounded by a sea of black cosmos. And just like when living on an island, we need to know and understand the vastness of our environment in order to survive. It is our responsibility towards the generations to come. If we don’t want to end up like the dinosaurs, then we should better understand the dangers that threaten us from out there. It is time for us to take the next steps in space exploration: a sustained mission to the Moon, a trip to Mars and to other destinations in our solar system. It is in our nature as human explorers that some of us venture out so far from home that we no longer can see familiar shores. Our curiosity prevails over fear, otherwise humans would never have reached other continents. Moon and Mars are the undiscovered continents of our time: they are about as difficult to reach as Antarctica was a century ago! Only in 1911 did the first humans stand on the South Pole. By now, numerous research stations have been built in Antarctica, because we now know that collecting climate data from this distant ice world is crucial to understand our planet’s climate – therefore helping to save our planet. 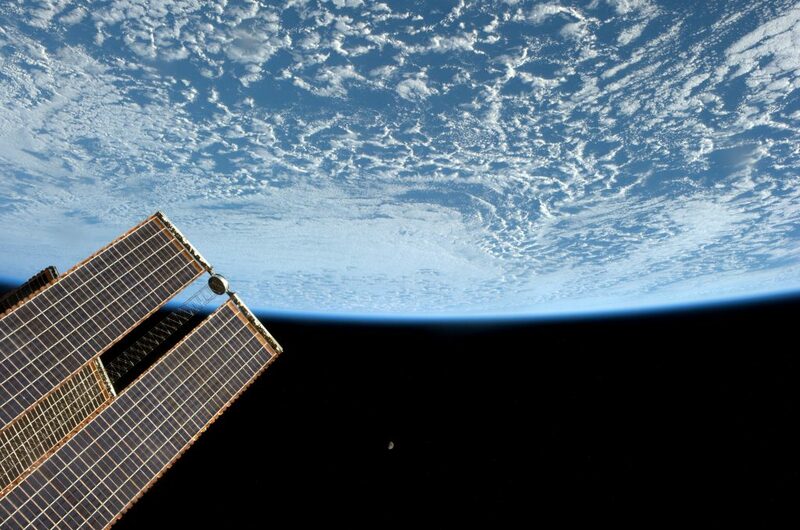 Moonrise from Space. Photo: ESA, A. Gerst. So, as many times before in our history, humans had to dare taking a step beyond the horizon to better understand ourselves, and our home. I am certain that, in another century, we will be saying the same thing about research stations on the Moon and Mars. Right now we are still too close to fully grasp the significance of space exploration. I am sure, however, that in a few thousand years, if humanity still exists, we will look at the first human to leave their home planet in a similar way we look at the first fish leaving the ocean. A critical step in the evolution of Earthly life. The International Space Station is not only a fantastic laboratory for conducting science that is crucial to making life on Earth better. It is also a unique platform that is teaching and preparing us for journeys into the depths of space. The time has come to intensify these efforts, as the developments will take time and it is uncertain for how long the Space Station can be operated at reasonable expense. We are thus working on improving synergies from human-robotic collaboration. We are optimising life support systems. We are preparing protective shields against cosmic rays, researching human reactions to the effects of weightlessness and developing programmes to better cope with the physical and mental stress of a long-duration mission. All of this will help us to soon fly further and more independently into space, to understand the cosmic sea around our island, and to protect our own world. What we will find out there is completely unknown. What we learn on the way will be our knowledge of tomorrow. And it will be part of our strategy of survival. Powerful words and exciting times ahead! I look forward to seeing you onboard the Space Station once again, Alex. Best wishes and safe endeavours. Ich wünsche Dir und dem gesamten Team schon jetzt eine tolle Zeit. Genießt es und ja, ich freue mich schon auf Eure Bilder. Ich bin begeistert von deiner Sichtweise auf die Menschheit und unserem unbändigen Drang nach neuen Entdeckungen. Ich muss gestehen ich habe mich erst seit diesem Jahr näher für deine “Blue Dot” Mission interessiert und muss sagen das ich deine Herangehensweise nach Außen so wie deine Vorträge großartig finde. Ich werde deine neue Mission mit Spannung verfolgen und wünsche dir viel Glück, Spaß und natürlich gesunde Heimkehr. Ihre Arbeit ist ein wissenschaftlicher Baustein – für mich aber auch, und das noch viel wichtiger, ein Indentifizierungsrezeptor für den Aufbruch towards a new society. Bedauerlicherweise war mir eine Kontaktaufnahme zu Ihnen vor Ihrem ersten Flug nicht gelungen. Mein Thema ist die Skelett Muskulatur. M.E eines der Top Themen für Langzeitaufenthalte (sowohl funktional als auch als Stoffwechselakteur). Ihre Interviewaussage, dass Sie bei Ihrem Aufenthalt 3 kg Muskelmasse zugelegt hätten, wage ich zu bestreiten. Wie es wenigstens in Teilen oder als Erhalt funktionieren könnte, darüber hätte ich gern mit Ihnen gestritten. Mein kleiner Beitrag wäre ein effizientes funktionales Muskeltraining (Eigenentwicklung), mit dem ich gern auch in den Wettbewerb mit den etablierten Anbietern gehen würde. Und? Wollen Sie die Wette eingehen? Wenn ich schon nicht selbst mitfliegen kann … wie so viele andere Menschen auch bin ich in Gedanken bei Ihnen. Hallo Alex, meine kleine Tochter (Sendung mit der Maus) und ich (Segelflieger) haben deine erste Mission schon mit Begeisterung verfolgt und freuen uns mit dir auf die nächste. Guter Text! Glückwunsch zu dieser ehrenvollen Aufgabe! Ist es möglich den riesen Plastikmüll im Meer aus dem All zu sehen? ich bin fasziniert von Ihrer Arbeit und Ihren Träumen zum Mars aufzubrechen. Ich bewundere Sie für das, was Sie erreicht haben. Die horizons-Mission ist das nächste große Thema des Astronomiekurses an dem ich in meiner Schule teilnehme, darauf freue ich mich sehr! Erhalten Sie sich ihre Träume! Ich wünsche Ihnen weiterhin alles, alles Gute und einen reibungslosen Start. ich finde es toll, dass du ins All fliegst und Kommandant wirst. Ich wünsche dir viel Erfolg bei deinen Experimenten. Ich werde jeden Tag deine Berichte von der ISS lesen! Ich bin 8 Jahre, aus Baden-Württemberg und seit 4 Jahren dein aller größter Fan. Lieber Alexander, unsere beiden Mädchen (6+8 Jahre) und auch wir Eltern sehen und lesen möglichst alle Berichte von und mit dir. Wir mögen sehr, wie du Dinge erklärst und mit welcher Freude du an deine Arbeit gehst. Du bist ein wunderbarer Vertreter Deutschlands. Wir drücken dir am Mittwoch ganz fest die Daumen. Und wünschen dir eine erkenntnisreiche Zeit und viel Spaß beim Staunen. Lieber Herr Gerst, ich bin begeistert und beeindruckt von ihrer Arbeit als Kommandant auf der ISS. Schon seit ich klein bin fasziniert mich die Raumfahrt. Wenn ich ihre faszinierenden Fotos anschaue realisiert man erst wie winzig klein wir eigentlich sind. Dieser Planet müssen wir auch für die nächsten Generationen schützen, wir haben nur diese eine Erde. Ich freue mich schon auf ihre Fotos, Berichte und Ergebnisse. Wünsche ihnen eine gute und erfolgreiche Zeit auf der ISS.